Overwhelmed by Kitchen Backsplash options? If you prefer a clean classic look, subway is perfect backsplash tile for you. Traditional Subway tile is 3”x6” and glossy white. 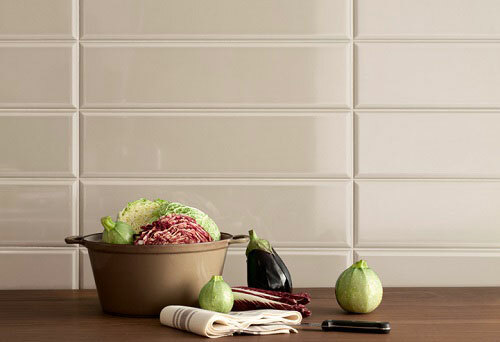 Now, you can get subway tile in different sizes like 4”x16” or as small as 2”x4”. It even comes in a variety of colors, or in glossy or matte. Consider a subway tile with a beveled edge to add character and give a distinctive textured look. 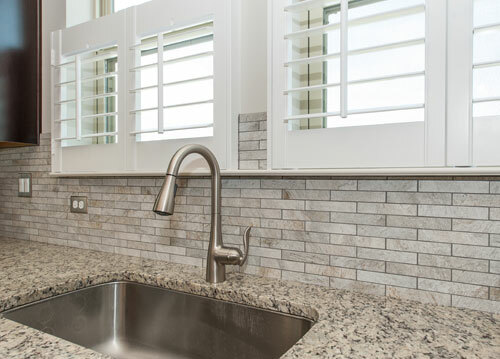 Do you like the distinctive rectilinear look of subway tile but want a soft natural feel? Consider a linear porcelain or ceramic muretto. Numerous color, size and texture offerings are available. The most popular muretto’s are made to look like nature stone, slate or travertine. Muretto’s can be installed horizontally or vertically. This subtle pattern/texture keeps the kitchen feeling finished yet neutral, so your accessories can be the drama in your kitchen. Want something atypical with a little designer flare? Consider a patterned backsplash. Trend has moved away from patterned wallpaper but many people miss the drama and elegance of a patterned surface. As a result, numerous exciting patterned natural stone and glass tile is now available. The shapes are typically 2”x2” or smaller and mounted to a 12”x12” mesh for easy installation. New organic lantern or oval shapes are now available. If you don’t want a uniform pattern, consider creating your own. A plain stock tile can be dramatically changed just by rotating it diagonally to create a diamond shape or by adding a few decorative inserts. Tired of cleaning grout lines? Large scale tile is now trend, for its easy maintenance and for its dramatic look. Instead of a patterned mosaic, a large tile can give you the drama of a pattern or texture but on a smooth easy to wipe down surface. Although large backsplash tile has traditionally been a contemporary look, new tile offering in a traditional style are now available. Large tiles make to look like wood planks are also growing in popularity as a backsplash material. 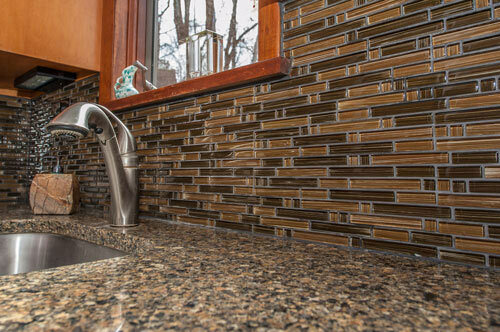 A glass mosaic backsplash adds sparkle and interest to a kitchen. It can even help your kitchen feel larger because of the way it reflects light. Trend is moving away from solid glass mosaic backsplashes toward glass mosaics mixed with stone or metal mosaic pieces. The 1”x2” or thin linear glass/mixed media mosaic tile is more popular than square glass tile. New textures and decorative inserts are now available premixed with glass mosaics. 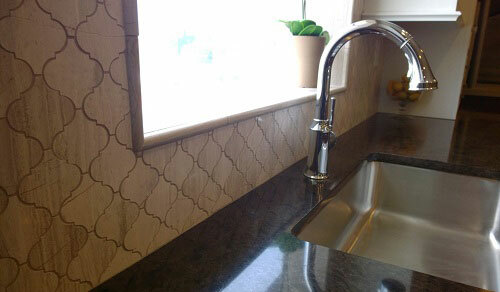 For a grout free backsplash, consider a solid surface material. 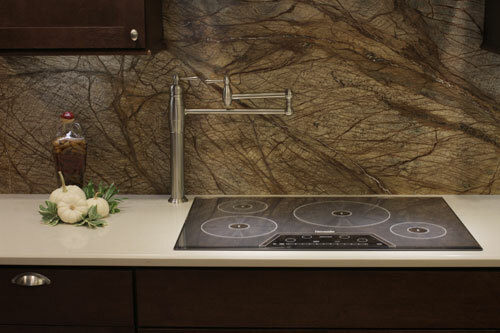 If you are replacing your countertops, you can get vertical countertop material to match for an almost seamless look. If you’re keeping your countertop, think about using a coordinating color. Sheets of back painted glass are also available for a sleek, open, contemporary look. 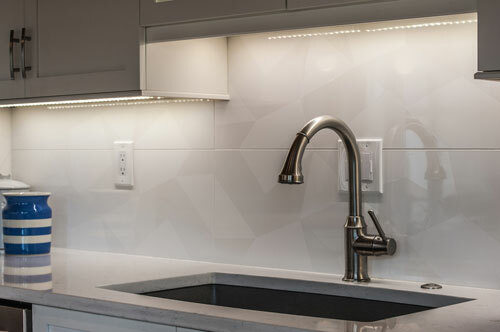 Anytime you choose to work with a solid surface countertop, you may need a seam where the material changes height, like behind the range or over the sink. Solid surface is also a nice look when used only behind a wall mount hood for dramatic effect. Can I get everything on my kitchen remodel wish list?